BOTOX, XEOMIN, and Dysport are all neurotoxins that help smooth the appearance of fine lines and wrinkles. All three neurotoxins have the same active ingredient, but have a varying amount of protein surrounding the toxin. BOTOX is a larger molecule, Dysport is a medium sized molecule, and XEOMIN is a more purified molecule. Every person is different, and one product may work better than another. That is why Altaire Clinic prescribes all three options. Your provider is able to customize your treatment plan to get your desired results. Your overall facial expression will be one of greater relaxation and alertness. With appropriate use of BOTOX, XEOMIN, or Dysport, your lines will disappear, not your expressions. There is no downtime following BOTOX, XEOMIN, or Dysport injections. Altaire Clinic recommends avoiding rubbing the area for at least 4 hours after your injections. You are able to put makeup on lightly immediately after the procedures. There might be local inflammation to the injection sites, but that usually resolves within 30 minutes. Any time you are injecting a needle into the skin, there is a slight chance for bruising as well. What else is BOTOX, Dysport, and XEOMIN used for? Neurotoxins such as BOTOX, XEOMIN, or Dysport can be utilized for so much more than just wrinkles. These products are frequently used to treat headaches, but did you know that they are also great in treating temporomandibular joint syndrome (TMJ), and so much more? Please keep in mind that each patient is unique and your results may vary. BOTOX targets one of the underlying causes of frown lines and crow’s feet. The neurotoxin works beneath the skin’s surface and temporarily reduces repeated muscle contractions from frowning and squinting. You will begin to notice a visible smoothing of crow’s feet and frown lines between your brows. This will ultimately create a calm and relaxed appearance. Added benefits include FDA-approved treatment of migraines. 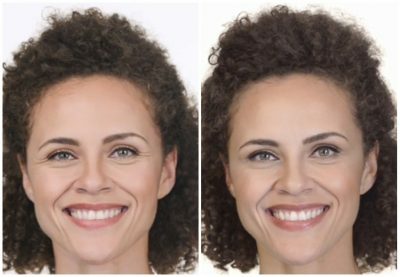 XEOMIN will help smooth the appearance of deep, persistent frown lines between your brows, forehead wrinkles, crow’s feet, smile lines around your eyes, and wrinkles on other areas of your face and neck. Wrinkles on your forehead and around your eyes will become smoother, your brow lifted, and your eyelid more opened. Your overall facial expression will be one of greater relaxation and alertness. Dysport relaxes the facial muscles that cause wrinkles in the brow, forehead, and around the eye. It smooths the appearance of moderate to severe frown lines. Dysport injections will make you appear more relaxed and less tired. It’s the lines that disappear, not your expressions. Will I Look Overdone or Unnatural? BOTOX, XEOMIN, and Dysport are technique-sensitive treatments. The goal of toxin injections is to look natural with softened expression lines. Altaire’s medical providers are the ones actually doing your consult and injections. Your treatment is not handed off to another staff member. There is no special preparation prior to your appointment. Injections work best with clean skin, so your provider may have you take off your makeup prior to the injections. The providers always love answering questions, so bring any questions or concerns you have about BOTOX, XEOMIN, or Dysport to the appointment. Can I Work Out After I Get BOTOX, XEOMIN, or Dysport? Yes, you are able to work out after your treatment. The providers at Altaire recommend that it is a lighter work out for about 24 hours after the injections to ensure optimal results. Strenuous work outs or excessive sweating immediately after the injections may disrupt your overall response to the treatment. Your treatment of BOTOX, XEOMIN, or Dysport will start working within 24 hours. These results may take 1-2 weeks to optimize and should last 3-4 months. What If I Don’t Want to Continue Getting Injections? You can stop your BOTOX, XEOMIN, or Dysport injections at any time. Your body will return back to normal for your age once the toxin wears off. 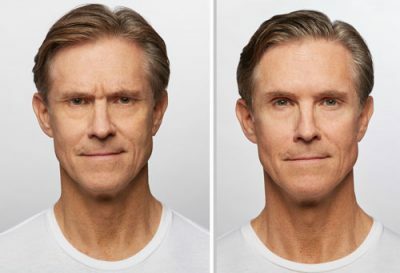 Do Men Get BOTOX, XEOMIN, or Dysport? Yes, Altaire treats a higher than normal percentage of men in the cosmetic industry. Whether it’s to help treat headaches, decrease stress, improve appearance, men want to look and feel their best!